Having logged about 500 hours in Destiny (and completing every raid on hard, btw, just saying) I can appreciate how long overdue this has been, but here it is, our Destiny 2 overlay! 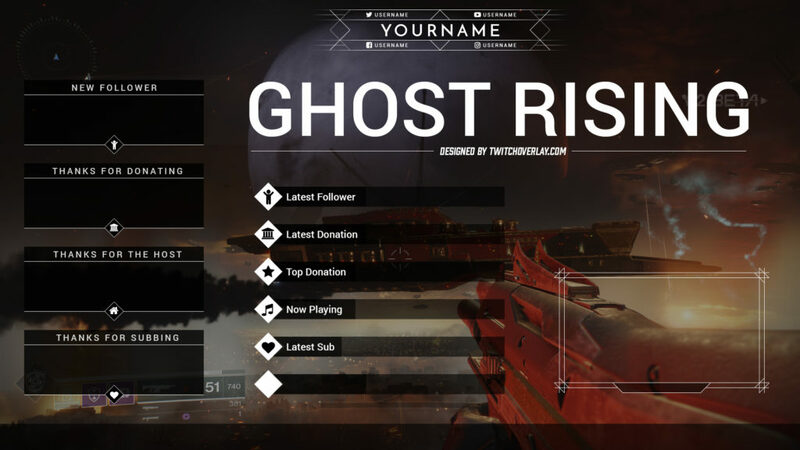 Ghost Rising very closely follows the aesthetic of the Destiny games, with flat, minimal boxes and design finishes. It features a collection of both stream alerts, and info panels which should cover most of your needs, as well as including a whole bunch of social icons for you to use however you need to.